A New York state senator faces felony charges for allegedly slashing his girlfriend’s face—and some of the assault was caught on camera. So why is he still welcome in the state senate—and why are Democrats still holding fundraisers for him? Which is worse: political leaders remaining silent about a colleague who slashes his girlfriend’s face, or political leaders actively funding and supporting the criminal slasher? Well, in the Empire State, we have both! In the past few months, our country has witnessed two high-profile cases of violence against women—Chris Brown’s alleged assault of Rihanna and the beheading of Aasiya Hassan. In the aftermath, advocates for reducing domestic violence saw a ray of hope: Could our country finally start a much-needed dialogue about violence against women, bring it into the light of day, and work toward solutions? When New York State Senator Hiram Monserrate (D-Queens) was indicted and arraigned last week on six counts of assault for allegedly beating up his girlfriend, we stepped back into the darkness. At least four security cameras in the Jackson Heights apartment building where the incident allegedly occurred caught parts of the attack on tape. Members of the Democratic Party should have demanded that Monserrate step down immediately. Instead, not only have the Democrats in the New York State Senate stayed silent, they are also working to establish a legal defense fund for Monserrate. Violence against women is wrong. It’s a despicable crime. Criminals who hurt women should be punished. So why is New York, purported state of enlightenment and sophistication, being so cowardly? Where is the national outrage? As with many perpetrators of violence, Hiram Monserrate’s indictment did not come without warning. Monserrate has a history of mental-health problems. In 1999, he claimed to be suffering psychological problems as a New York City Police Department officer, writing: "I suffer with adjustment disorder with mixed anxiety and depression, and post-traumatic stress disorder." After an assessment by the NYPD’s psychological-services unit, Monserrate was forced to relinquish his gun. In 2001, trouble continued when Monserrate was arrested after allegedly using his car to run over the leg of a tow-truck operator who was attempting to tow away his car; the charges were later dropped. Hiram Monserrate’s alleged assault of his girlfriend in December 2008 is a familiar tune. Man beats up woman in a jealous rage. Woman goes to hospital. Woman tells police that her intimate partner did this to her. Man is arrested. Woman recants statement, says it was an accident. Woman tries to drop charges. On January 7, 2009, despite his arrest and the pending charges against him, Monserrate was sworn in as a New York state senator. A New York Times reporter described Monserrate’s demeanor that day: “Mr. Monserrate was hardly carrying himself with the posture of someone facing such a burden. He was chatty, even jovial.” There was some outcry: Senator Martin Golden (R-Brooklyn) spoke out against Monserrate being sworn in, as did National Organization for Women New York chapter President Marcia Pappas, who held a press conference in Albany. The New Agenda, the nonpartisan women’s rights group of which I am a co-founder, issued a press release and action alert to our members asking them to call the New York state senators. The response from most senators was basically this: We might not like it, but he is innocent until proven guilty. The indictment and arraignment should have changed all that. Six counts of assault and overwhelming evidence should be enough for our state senators to finally speak out and demand that Monserrate step down. Instead, the Democrats in the New York State Senate took a collective vow of silence. The New Agenda wrote an open letter to New York state senators asking that Monserrate be forced to step down. We sent this letter to every state senator. We also forwarded a copy to Valerie Jarrett, who chairs the newly formed White House Council on Women and Girls—after all, President Obama cited domestic violence as a main concern for the council’s focus. We received a response from only one political figure—Senator Catharine Young (R), who thanked us on behalf of herself and Senator Elizabeth Little (R). The only two Republican women in the New York State Senate, Young and Little had jointly issued a statement in protest of Monserrate. Along with their vow of silence, Democratic state senators met behind closed doors last week. At this meeting, these elected officials decided to come to the aid of Monserrate and help raise funds to pay his legal fees. Their message: Political party trumps women’s rights. Didn’t these state senators realize that their collective actions would have consequences? NOW's Pappas told me, "Women from the legislature have called my office to say that the New York Legislature has now become a hostile work environment because Monserrate has been allowed to stay." These women called on an anonymous basis because of fear that their jobs would be in jeopardy. Cynthia Ruccia, a co-founder of the New Agenda, made phone calls to members of both parties in Monserrate's district in Queens. Cynthia reports: “I was told that the victim has been silenced. People are afraid to speak out, especially because of Monserrate’s erratic past. There is major concern about retribution." Is it any wonder that 73% of domestic violence incidents go unreported? When our own state senators stay silent, they are instructing battered women to do so, too. When our state senators hold fundraisers for an indicted colleague, they are instructing citizens to protect abusers instead of the abused. If there is one lesson to be gleaned from this travesty, it is this: The women of this country cannot count on either political party to protect them. We need a national dialogue about the crisis that is violence against women. If our politicians desire to maintain their moral authority, then they must treat violence against women like the serious crime that it is. Our political leaders need to demand that their colleague step down immediately, not aid and abet the barbarian criminal. If there was ever a doubt of the need for leadership, a smug Senator Slasher proved it so. Editor's Note: An earlier version of this article contained several factual errors. They have been corrected. 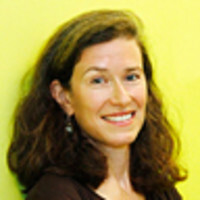 Amy Siskind is president and co-founder of The New Agenda, a nonpartisan organization devoted to advancing women’s rights.